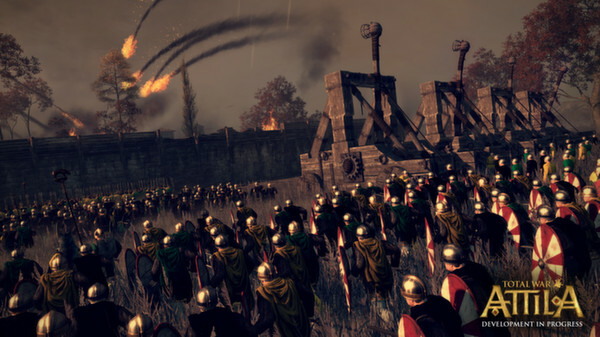 Total War: ATTILA has recently popped up on SteamDB with pointers towards a Linux & SteamOS version finally coming. Why they never port the ones I own. I need my Shogun 2! Arehandoro Why they never port the ones I own. I need my Shogun 2! .... and Rome II Total War? Finally a life sign - that just made my day! Rome 2 and shogun 2 with the latter being the best in my opinion are definitely in need of porting. Screw Total Fail Rome, port Shogun 2 already, please. Is this an in-house port? If so, this is promising and shows that they have updated their engine to be cross-platform, since this is one of their latest games. Hey, this may be a Vulkan compatible title? The new API will probably benefit RTS games a lot.